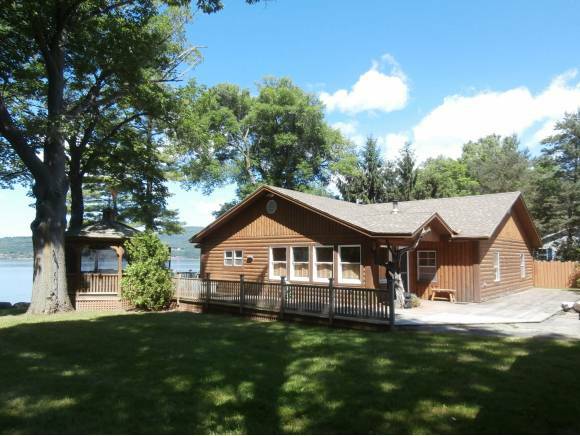 6.88 acres abutting DAR State Park, 140 feet of Lake Champlain frontage, sweeping Adirondack views, and a private haven with Adirondack style living is all wrapped up for the perfect package. Totally renovated in 2006, this house is like new. A new fully glassed sun room extends the living to the outside to be enjoyed in all 4 seasons. Panton stone fireplace, hardwood floors, wired for audio system, specially designed antler chandelier, birch wood accents, dock system, several outbuildings, in ground pool, extra large deck, and screened gazebo make this a perfect retreat. For more information or to make an appointment to see this property please The Lynn Jackson Group at 1-802-877-2134.